As time passes, circumstances change, as do opinions and relationships. Often, for residents of Nevada, this fact is reflected in how quickly estate planning documents like wills and trusts become outdated. Common advice holds that even an annual review of the documentation in an estate plan would not be too frequent. When it comes time to review the documents, there are several issues to take into account. The first is to consider whether an individual’s net worth has increased enough that a new, more sophisticated estate plan may be warranted. Individuals should also consider whether heirs or beneficiaries need to be updated, as changes in the family – such as births or divorces – may play into this. 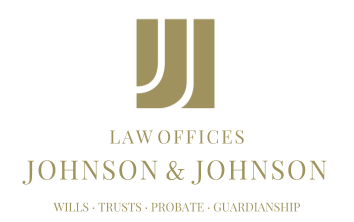 Those who do not already have a will or a trust may want to make estate planning a top priority, as dying intestate can result in major complications for heirs. Individuals may find it helpful to prepare a net worth statement before considering an estate plan, as knowing a total level of wealth may be important during the planning process. Having a list of intended heirs will likely also prove useful, as well as a copy of a divorce decree if the individual has ever been divorced. Parents with minor children will have additional considerations, such a specifying a potential guardian to care for the children if both parents pass away. Parents also need to decide whether this same guardian would manage finances for the minor children or whether another individual is to be appointed to handle that aspect. With so many issues to consider, Nevada residents with questions regarding creating or updating wills and trusts or any other aspects of their estate plans would likely find the guidance of an estate planning lawyer beneficial.